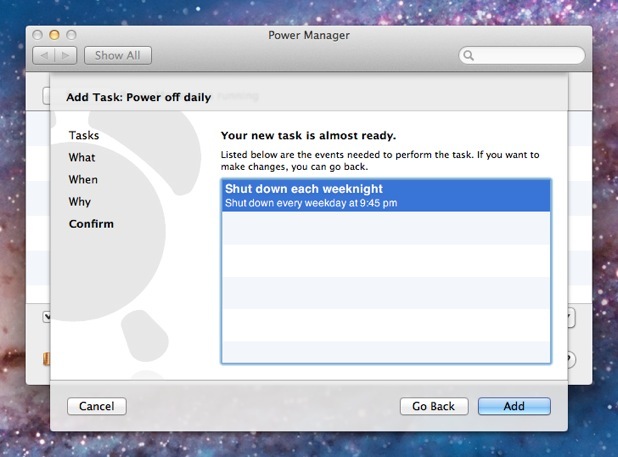 Using Power Manager you can schedule your Mac to shut down itself at night, or whenever you want. 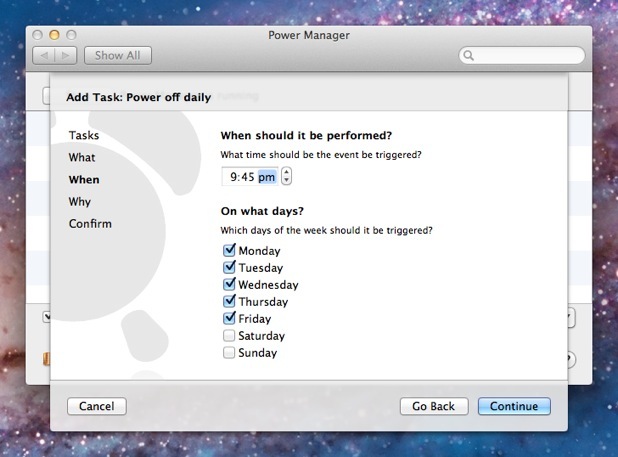 You can schedule your Mac to shut down at different times on different days, or even multiple times a day. 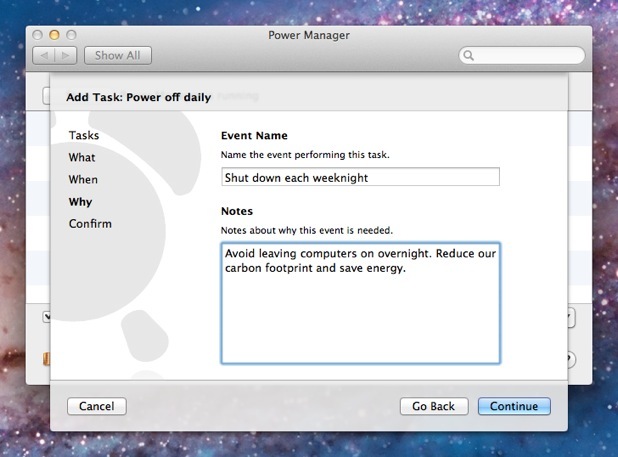 Mac OS X's Energy Saver and pmset tool includes the ability to shut down your Mac. 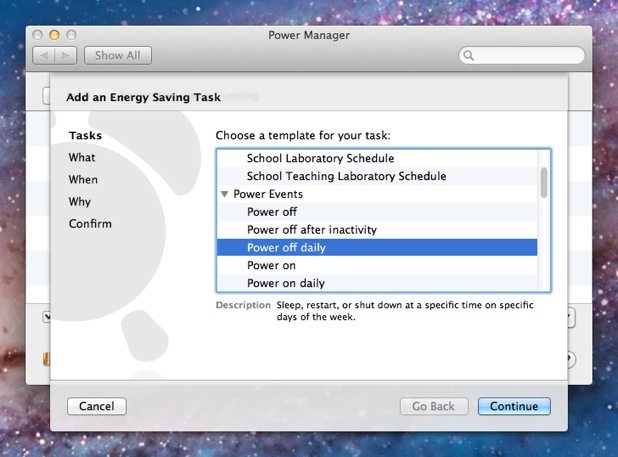 The procedure used by these included tools will not be enough for many Mac users. All active users are given ample notification. A large warning is shown shortly before shut down begins. Running applications are asked nicely to quit. Applications ignoring the nice request are more firmly quit. 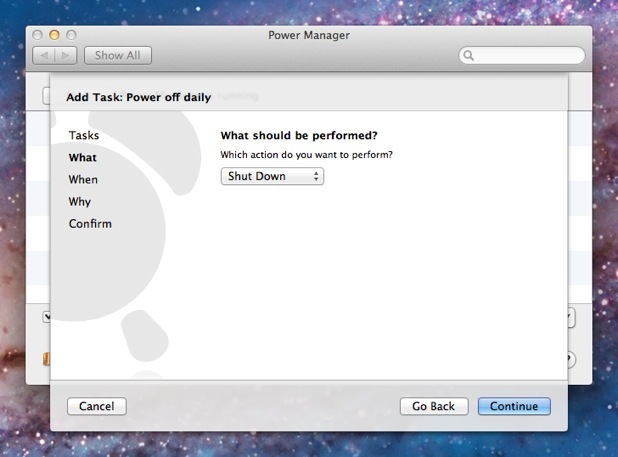 Log out is left to complete, before the Mac is finally shut down. Choose the template Power off daily. Click Continue to the What step. Select Shut Down for What should be performed?. Your shut down event is now scheduled and ready to run. The event will wake up a sleeping Mac in order to perform the shut down. 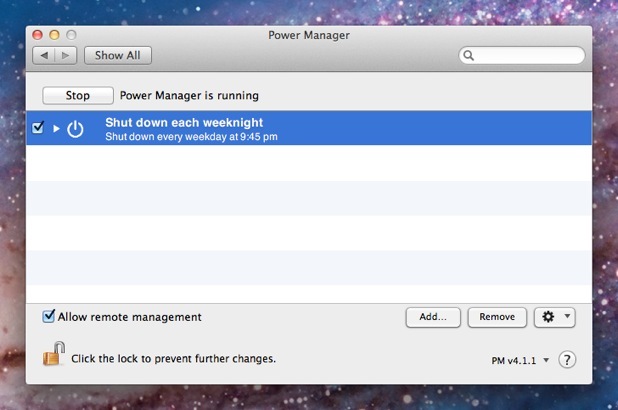 If your Mac is already shut down, then nothing will happen. 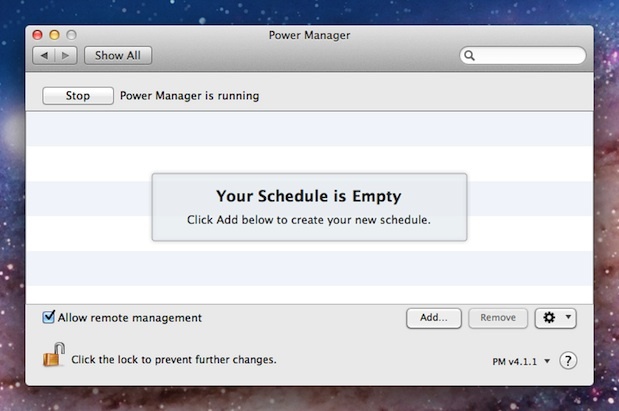 This article was posted in PM4, Power Manager, and Recipe and tagged Power Manager, recipe, and shut down.